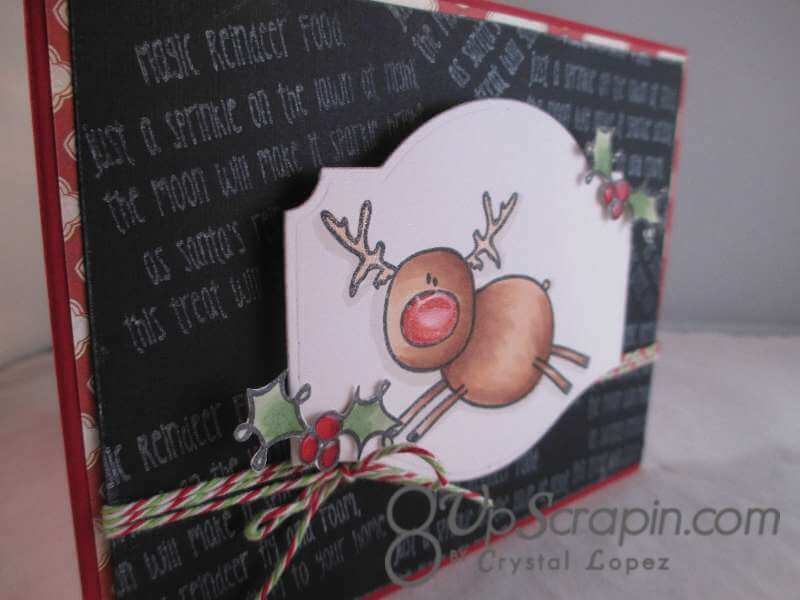 It’s Crystal here with my third card using The Fa-la-la stamp set from TWAS . I am just so inspired with this set and I am have a blast creating with it. 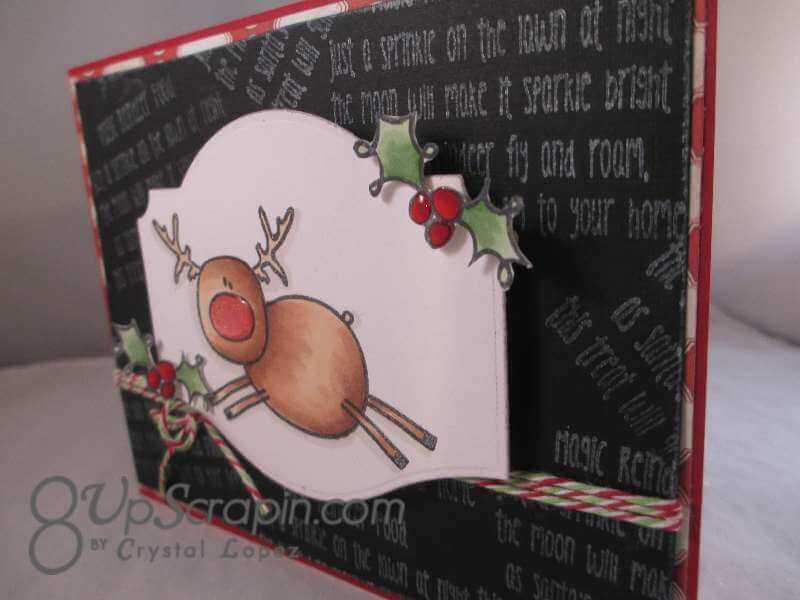 to get this look I started with a red A2 card base , my next layer is designer paper , and then the final layer is black card stock. On the back I stamped the magic food stamp randomly with moonlight white ink then i took a stick of white chalk and ran it along all the sides and then rubbed it in to give a real chalk board look. 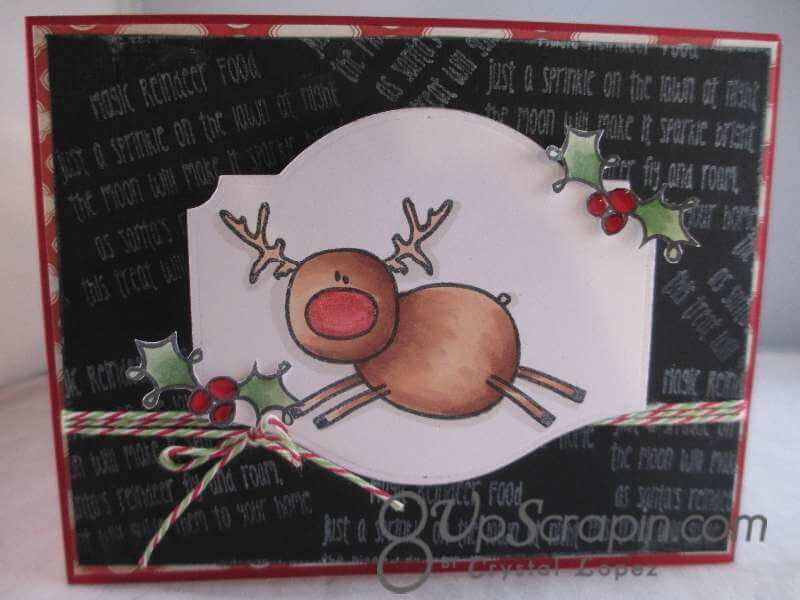 Next I stamp my reindeer and then die cut him out , color him with copics for his nose i use a red glitter jelly roll pen and then put glossy accents over it and let dry.Wrap 3 rounds of twine and tie off in a bow. i use pop dots to pop of my die cut deer image . 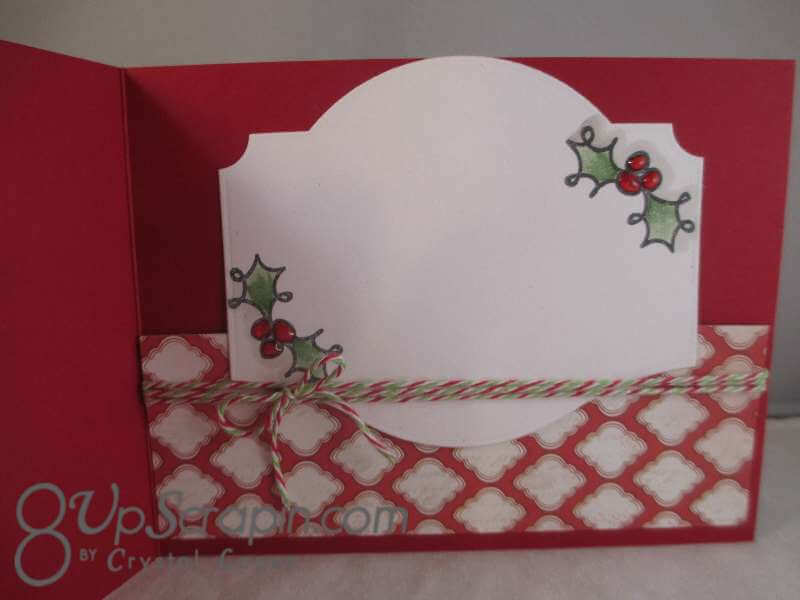 Stamp 2 hollies and color fussy cut out and attach to the corners , add glossy accents to berries. inside i add some designer paper and wrap in twine ,tie in bow , die cut some white card stock to have a light color to write on when you sign your card , I added holly accents colored in copics and glittered with wink of stella , glossy accents on the berries. this card is very quick and easy whit great wow factor , I hope I inspired you to make some cards , its a personal touch that your friends and family will appreciate .